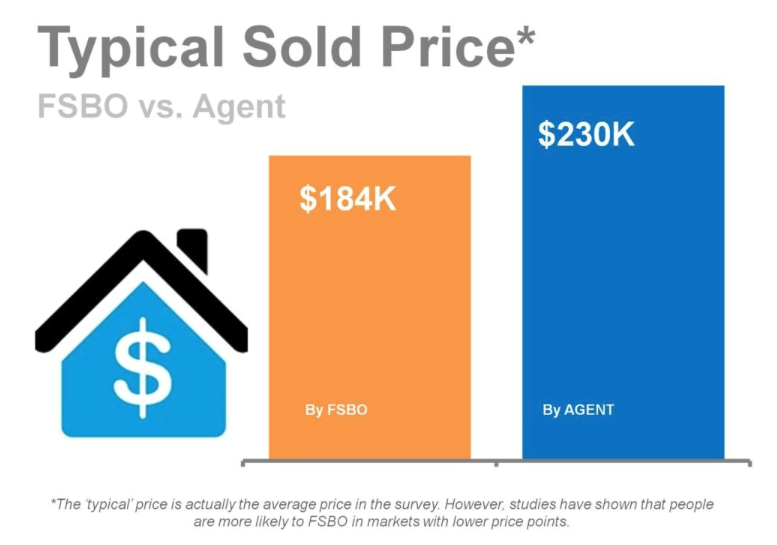 Okay, so according to this study FSBOs sell on average for $46,000 less than a house sold with an Agent. That's horrible. But what about the cost of the time it takes to put in all of the work to market and sell FSBO? Is your time worth nothing? I think it is! I thought to myself, "It's like a second job." I also thought to myself, "Ain't nobody got time for that!" One little subject that was conspicuously missing from this free guide to FSBO rather than working with a Realtor, was a discussion on safety for you and your family. Who wants strangers off of the street coming to their doorstep at any time of the day and night and nosing through your private space? "But they have a pre-approval letter." Unfortunately, those can be created on a smart phone these days. How do you know it's legitimate? Are they really buyers, or are they just "casing out your house"? Who has "vetted" these people? Cough... no one. When you work with a professional Realtor they work with preferred lenders, obtain viable, pre-approved clients, then come visit your house, when you're not there by yourself or with your children, at a pre-determined time and date, and live up to a code of ethics - treating your home better than their own as a steward of your trust. You get a lower price for your home, which means you have less equity to put down on your next home purchase. You work more and spend a lot more time marketing, advertising, conducting open houses etc instead of spending quality time with your family and friends. I know that there must be many FSBO success stories out there, and I am truly happy for those people. All of the products and services surrounding the selling of homes add a tremendous amount of employment to our economy - selling houses using any method is a good thing on a macro level. I have to ask myself however, "If marketing and selling your house FSBO is such a great thing, why isn't everyone doing it, and why hasn't it taken over the house selling industry altogether?" When it's time to think about moving, selling, and buying a new home, why not consider using a professional, training, licensed Realtor. It makes sense, doesn't it? Contact the experts at Focus Realty Group, KW Lakeland today!